What is Asian Fry Sauce? 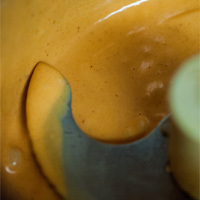 A Fry Sauce is essentially a blend of 2 parts mayonnaise and 1 part ketchup, very similar to a Russian Dressing or 1000 Island Sauce, but with no extras flavors or ingredients. This recipe uses the White Miso Malt Vinegar Mayonnaise as a mother sauce and builds off its flavors. This Asian Fry Sauce 2.0 recipe will become a staple in your refrigerator with all the things it can be used one and with! 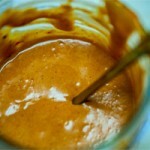 My version of this Fry Sauce is the opposite of the just two ingredients. It has a lot of ingredients, some harder to find. But your efforts will be rewarded! I promise! I’ve made this Asian Fry Sauce 2.0 tons of times and now this is my go to, must have in the refrigerator at all times, sauce | condiment! I love the complexity of flavors it holds. It’s rich, thick, hints of tomato, then the spice builds, the umami builds, the garlic starts to unfold, the spice continues to melt over the tongue, followed by a unique synergy of all the ingredients working together to create a very special sauce. Try this as a dip for roasted | grilled | raw vegetables in a crudité, for pomme frites, use as a condiment on a hamburger, replacing the “special sauce”, add to a grilled sausage or hot dog, toss with greens to transform it into a dressing, with wit poached prawns or Anchor Steam cooked Dungeness crabs, or a dip for dumplings… The list goes on and on for this sauce and all its uses. More than just mayo and ketchup, but Asian Fry Sauce 2.0! A perfect spicy spread for any sandwich, dip, salad dressing or for dunking Belgian Frites in! In the bowl of a food processor, add the eggs, white miso, red miso, malt vinegar, Thai Sweet Chili Sauce, Gochujang, Sriracha Hot Sauce, tomato paste, soy sauce and garlic (black, roasted and raw). Seal with the lid and pulse several times until all the ingredients are puréed together. The inside of the bowl might need to be scraped down with a rubber spatula, depending on the size of your food processor. 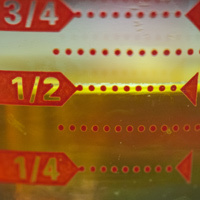 Once all the Base Ingredients are incorporated, measure out the three oils into a liquid measuring cup. I use a blend of oils to create a more balanced flavor. If you use all olive oil, the resulting mayonnaise will be strong in olive oil flavor and have a harder hue of yellow. Turn the food processor on and slowly add the oil, starting with just a few drops at a time. After a tablespoon, you can add the oil a little faster (a drizzle), but never pouring the oil in. This will slowly incorporate the oil into the egg yolks, making a fluffy/pillowy sauce vs a broken sauce (were the oil looks like rain drips with splotches of egg yolk swimming in it. Taste the sauce; it should be balanced with enough acid to cut part of the richness (as the sauce is rich), with a wonderful pop of umami with a distinctive mayo undertone with a spicy kick. Transfer the finish mayo to a 4 quart Cambro, seal and label with the date. Place into the refrigerator and this sauce will last for 1 month. If the mayonnaise breaks (broken sauce), don't throw it away and start over. Simply pour the contents of the food processor bowl into a measuring pitcher. Add a whole egg to the bowl and turn on the blade. Slowly re-add the ingredients from the pitcher and the emulsification will restart.